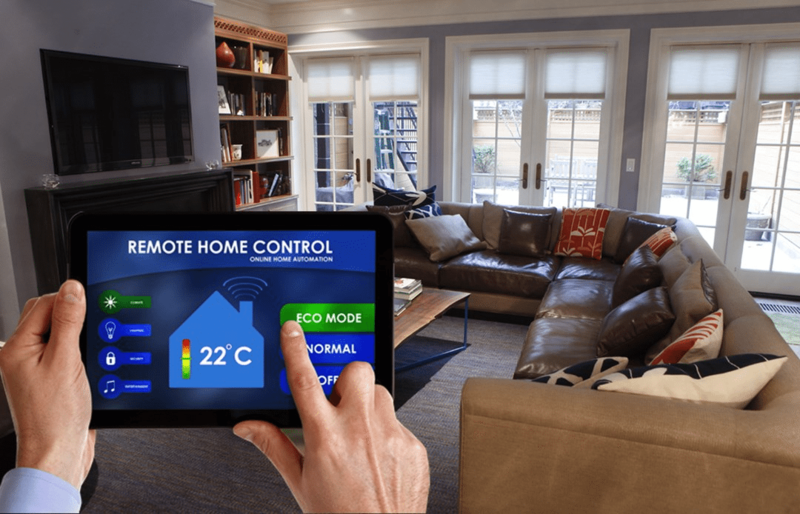 Home automation has seen an incredible boom in recent years, with home installations almost doubling from 2011 to 2012. ABI Research estimates that next year more than 8 million systems will go live in the USA alone, which proves that what once was only an Orwellian fantasy is now our new normal. 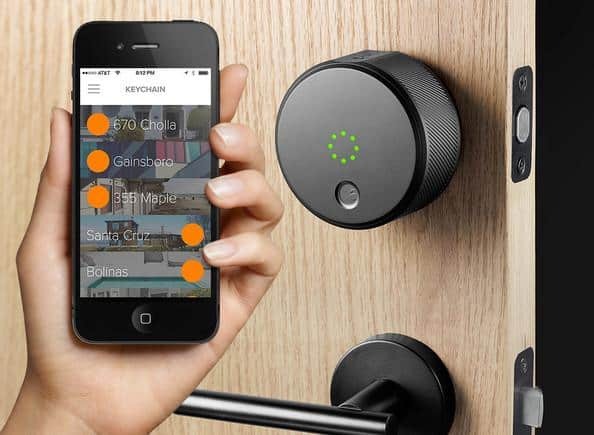 From lighting to door locks to security systems, your home can now run itself with just the touch of a button—and in some circumstances, it doesn’t even require that. But making the transition from a traditional system to a fully automated home is not a small undertaking. The average consumer spent close to $1,500 last year for installation and repairs, though those expenses swelled to over $20,000 if an internally and externally wired system was installed. Yet, regardless of the budget, most homeowners agree that the benefits they have received by upgrading have far outweighed the renovation expenditure. For those of you hoping to join this technological wave, here are some of the best several tips that we at Modernize use when choosing an automation protocol, installation and maintenance, or for just making life more comfortable and convenient. Incredible reliability and the fact that UPB utilizes existing power lines, which trims installation expenses, are about the only positives for choosing UPB. It does not communicate easily with Wi-Fi or smartphones, is slow due to poor bandwidth, and has few compatible products. However, if you are simply looking to put in programmable light switches, then UPB will more than suffice. It uses both power lines as well as wireless means of communication, making it a system you can depend on. With over 200 compatible devices that require no installation to your home hub system other than plugging them in, this protocol is ideal for those that aren’t too tech savvy. One drawback, though, is that only SmartHome is able to manufacture items with Insteon protocol, so you will be limited to their product line. This protocol is totally wireless and runs on a relatively low frequency, thereby making it low power as well. Compatible devices (of which there are over 1,000) use a “mesh network” which basically means that one device passes along the command to the next until reaching the intended equipment, vastly expanding the communication range while maintaining a low drain on energy. 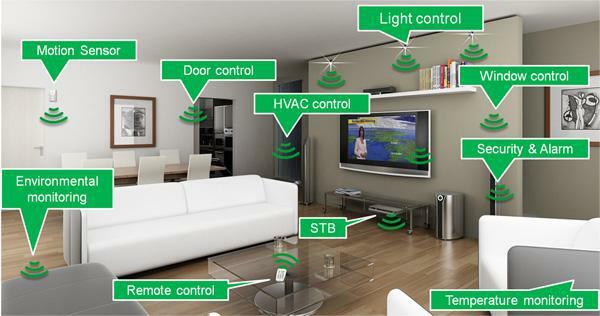 Zigbee and Z-Wave are quite similar: both fully wireless and low-energy, with a mesh network that gives them superior speed and range. Though many swear by Zigbee, the loudest complaint is its lack of interoperability between devices made by different manufacturers. The Zigbee 3.0 claims to have corrected for this issue, but it hasn’t been on the market long enough yet for proof. Most homes now have a wireless router, so no other equipment hubs will need to be purchased to automate compatible devices. However, as more devices are added onto your bandwidth, you can expect to have response times slow down dramatically. Wi-Fi also uses a lot of power, which can drain battery-powered devices like smoke and carbon monoxide detectors far more quickly. Traditional Bluetooth is not only found in hundreds of products, it also has a higher bandwidth than Zigbee or Z-Wave and uses less power than Wi-Fi, all without the need for a central hub. It does have quite a limited range for connectivity, which can be a major drawback if you are looking to incorporate anything that demands consistent communication, like security systems.The new-to-the-market Bluetooth Low Energy (BLE) should hopefully correct for this by utilizing a mesh network system. Once you have determined the protocol that will work best for your home, it’s time to have it installed. You’ll also want to make sure you know how to properly maintain it to maximize its efficiency and lifespan. If you have chosen Wi-Fi or Bluetooth and you aren’t doing a major home renovation or building a new home, then your work here is done! If you are doing either of those projects, then price out how much it would be to install Ethernet wiring in addition to traditional phone and power lines. 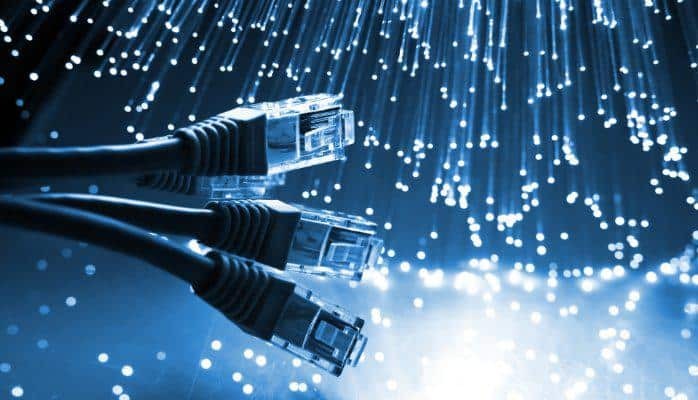 Though it will raise your budget by roughly $1000 for 6 connections ports, the reliability and speed you will get from an Ethernet line will ensure that you are able to support any additional devices you hope to include in the future. With any wireless system, going operational can be done in a few simple steps, and there are plenty of tutorials out there that will walk you through the process. Our biggest tip here is to not underestimate or overestimate your ability to tackle this project. These systems will likely run you hundreds of dollars—so it would be wise not to DIY if you’re not up for the job. But if you’re comfortable with the project and think you can pull it off, you’ll be saving yourself a considerable amount of money. With any project that involves wiring and electrics, mistakes can lead to potential disaster. If your improvement designs involve installing automated solar power systems or smart HVACs, it is probably best to leave that to a professional. Not only will you ensure that the job is done in a manner that meets your principality’s building code standards, but you will, also, have the peace of mind that should anything break in the future, a professional is fully knowledgeable of your personal system. Plus, the installer will usually be able to alter your system remotely or with a very short visit were you to upgrade a device like a TV that is made by a different manufacturer. If possible, pick a brand and stick with it. Any time you change manufacturers, even within the same protocol, you run the risk of your items not being able to communicate to one another as seamlessly as possible. Like with everything, do your research! Consider the basics that you will be installing initially, all the way up to your pie-in-the-sky dream home. If you are able to find a company that produces gadgets that fall all along that spectrum, then you are making a sound investment. It’s irrefutable: home automation makes life so much easier, safer, and more comfortable. But once you’ve taken the plunge, here are several tricks to help further maximize your new way of smart living. Not only great at setting a romantic mode (which you can preprogram, of course), they also have the ability to save many a stubbed toe or worse injury. Program switches to dim at a slow enough rate that you are able to make it across the room and into bed before the room goes totally dark. Also, in a child’s bedroom you can set a dimmer to turn the lights off at a particular time, ensuring that bedtime actually happens. Light controls are a market that is on the rise, expecting to produce a $1.7 billion industry by 2020. Besides being James-Bond cool, smart lighting is also incredibly energy-efficient, allowing a homeowner to save upwards of 30% from their energy usage, which translates into more affordable energy bills. In the same vein as lighting, automated blinds can offer a host of perks. People have a natural circadian rhythm that becomes interrupted by artificial lighting, causing issues like insomnia and exhaustion. But automated drapes close at night to give you privacy, and open in the morning so that you wake to natural sunlight. Motorized blinds in conjunction with programmable lighting will also allow for extra home security while you are away on vacation. Simply set your lights to turn on and various blinds to open and close in a random pattern throughout the day, and prospective thieves will be fooled into thinking someone is home. Everyone knows the arms-full-of-groceries-while-trying-to-unlock-the-front-door dance and just how frustrating it can be. Set your automated door locks to open only moments after you park in the driveway, and you will never have to fumble with your keys again! Many systems can, also, be accessed remotely which is fantastic when your houseguest arrives early or your child forgets their key. By simply pulling up the appropriate app, you can let anyone into your home, no matter where you are in the world. The Department of Energy reports that 48% of home energy usage goes to heating and cooling alone, and the inclusion of automated HVAC and thermostats can significantly reduce that number. Virtually all smart heating and cooling systems provide you with feedback on ways to better save energy. So instead of ignoring those alerts, read them and reprogram your system accordingly. Then you will still be comfortable and your wallet (and the world!) will thank you for it. Water is another valuable commodity that shouldn’t be taken for granted, since it can cause massive amounts of damage within a home. The best tricks to help save water are to install a smart home water leak detector and an automated sprinkler system. A water leak detector will allow you to monitor your water usage and get reports when even the tiniest of leaks begin. And certain automated sprinkler systems are able to detect just how much it has rained, so that they can water the lawn appropriately. Both will end up saving you from potential headaches of broken pipes and flooded lawns. 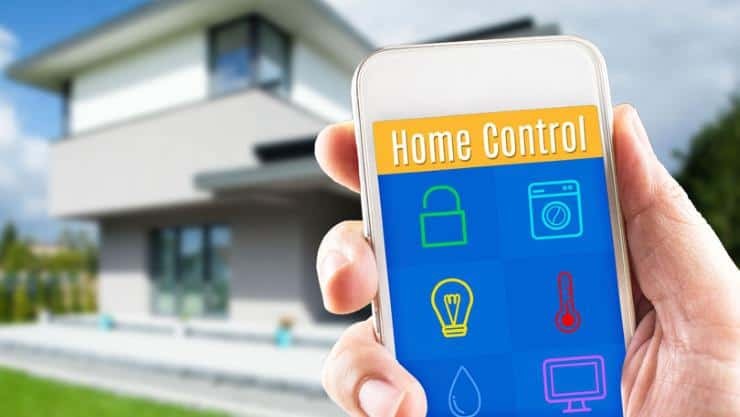 No matter which protocol or devices you choose to install, so long as you properly research the market and try these helpful tips and tricks, you are bound to have a more comfortable, safe, and convenient house that makes you excited to come home to every day!